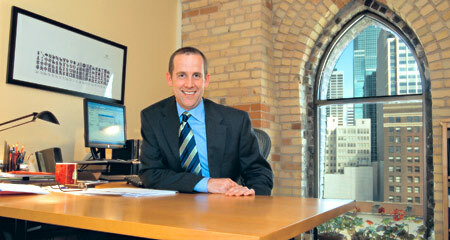 By any measure, Cory Zanin has had a successful career since graduating from the Kellogg School in 1991. He'd spent 12 years in the airline industry, working first for American and then Northwest Airlines. There, he had risen to be director of distribution and Internet strategy. He enjoyed the responsibilities, and salary, that accompanied his career. But like many professionals who reach a certain point in their lives, Zanin began to wonder if there wasn't more he could bring to the table. Outside of work, he served on a number of nonprofit boards, including those of his church and an organization that helped troubled teens. His volunteer efforts seemed to fulfill a need to serve others in a way that his paid job did not. Zanin wondered if there was a way to apply his for-profit business skills in the nonprofit arena. In mid-2006, while perusing the job postings on the Kellogg School's Web site, he came across an opportunity that sounded ideal. Public Radio International was seeking a chief operating officer and executive vice president — someone who could provide strategic leadership and help manage the network's partnerships, revenue growth and new market development. The Minneapolis-based company provides more than 400 hours of programming each week to 827 affiliates nationwide, reaching nearly 30 million listeners. "This American Life," "The Tavis Smiley Show," "The World" and "BBC World Service" are among the network's signature programs. Zanin was already a public radio listener, and the job description fit his plans for his next career move. 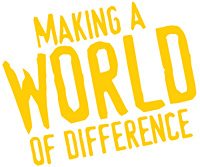 But what really captured his attention was the network's mission, as expressed in its tagline: "Hear a Different Voice." Zanin, who had come out several years earlier as a gay man, shared the company's desire to give a platform to others whose struggles are not always represented in the mainstream media. "PRI's goal is to serve people with a variety of programs to help them understand that we live in a diverse and interdependent world," Zanin says. "That really hit home for me on a personal level." Zanin's interests and experience turned out to be a perfect fit with PRI. At Northwest, he had managed the company's Internet presence, working with entities such as Travelocity and Google to market the airline. His new role at PRI not only taps that background in marketing, operations and new-business development. It also leverages his Kellogg education in finance and organization behavior, and his overall management skills, at a much broader level. "It is much more multifaceted," Zanin says, noting that PRI's marketing, finance, administrative and interactive groups all fall under his purview. "There's a lot more responsibility." The transition to nonprofit has had its challenges. "Nonprofit accounting is a whole new world," he says. "You don't have the simple 'did we make money or not' measurement tool. Money isn't as fungible as it is in the for-profit world." That has been true for Zanin personally too. He notes that salaries in the nonprofit world generally are lower than in the for-profit sector, though they are getting more competitive for those with proven management expertise. Zanin made his choice readily. "The mission of the organization, and the responsibilities of the job, were more important to me than earning the highest salary possible," he says. That sense of purpose resonates whenever Zanin hears the opening credits for a show such as PRI's daily news program, "The World," as it covers topics ranging from political strife in developing nations to global obesity. "There's a lot about Britney [Spears] out there," Zanin says. "If you work at a for-profit media company, that's understandable, if that's what people want to hear about. But we're trying to bring a different perspective. There's a whole world out there, with news you can't always get in the states. The more people understand that news, the better informed they will be to make decisions about the world we live in."